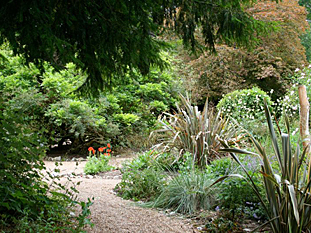 The Gardens at Enys offer a unique tranquil and unspoilt experience. 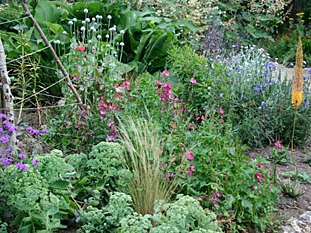 We offer the visitor a peaceful and relaxing experience with a wide variety of different garden vistas. 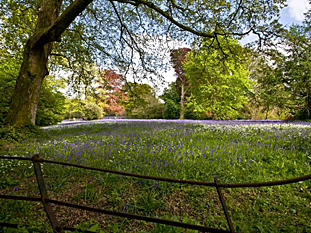 Within the 30 acre gardens lie the open meadow known as Parc Lye, where the spring show of bluebells is breath taking; the ponds, where the waterwheel can be found; the flower garden, which is gradually being restored to its former glory; a New Zealand garden, which reflects J.D. Enys’s plant hunting interests, and many woodland areas, which show different types of planting including many remarkable trees. Enys itself (the house) is open to the public during the weekends of the Art Exhibition and the craft fair. A lot of work has been done to enable this and involved removing many rotten timbers. The model farm buildings and stable block are used to house the history room which has information about Enys, the gardens and the Enys family. This are is being extensively reorganised and is a work in progress. Travelling from Truro – From the A39 take the second left turn after the Norway Inn, signposted to Flushing, Restronguet and Mylor, and then the first right following the local sign for Enys Gardens. Carry straight on for approximately 1.1 miles until you reach Enys Lodge on the left, enter the gardens here. Travelling from Redruth or Penryn/Falmouth – Take the B3292 Commercial Road and turn off this up Truro Hill. Continue past Bellevue Cottages until you reach Enys Lodge on the right, enter the gardens here.